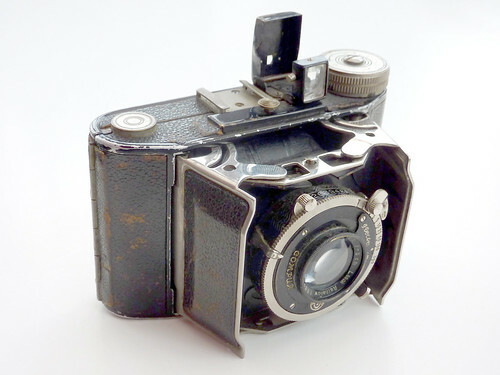 Julius Laack, later Julius Laack Soehne, was a camera and lens maker, based at Curlandstrasse 60, Rathenow (Brandenburg, Germany). The company seems to have started in 1884. 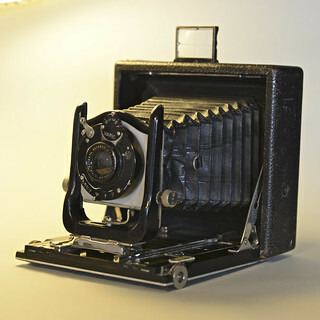 McKeown lists a ferrotype camera from 1895, and a number of folding plate cameras. 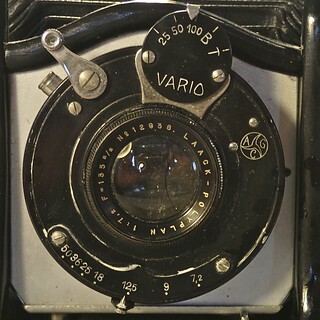 Laack lenses were used on smaller-format cameras at least up to the Second World War. During the time of the German Democratic Republic the company became state-owned and was part of VEB Rathenower Optische Werke (ROW), together with Emil Busch and Nitsche and Günther. Laack lenses, especially the Pololyt, appear on other German companies' cameras including the Altissa Altiflex and Altix, Welta Reflekta and KW Pilot Super. 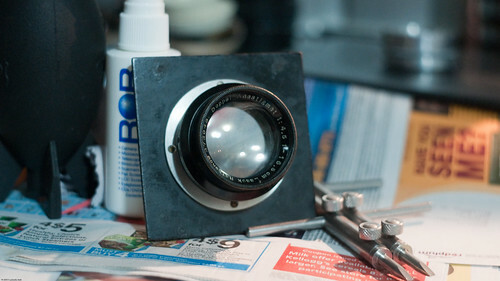 Laack also made a range of cine lenses as well as filters. In addition, Laack worked on other photographic implementations, such as film testers. 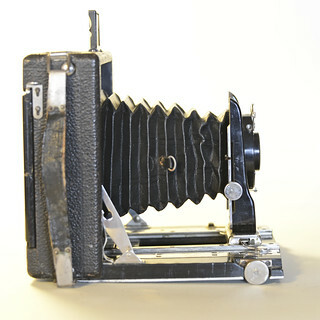 9×12 cm tropical folding plate camera. Pololyt or Dialytar lens and Compur or Ibsor shutter. 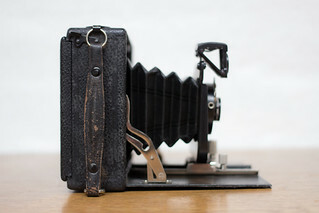 10×15 cm folding plate camera. Polyxentar f/6.8 lens and Koilos shutter. 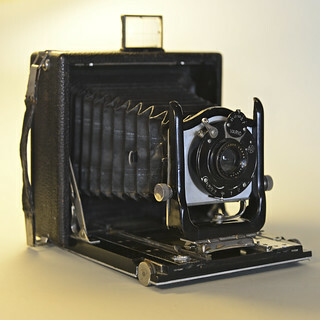 9×12 cm vertical folding plate camera. 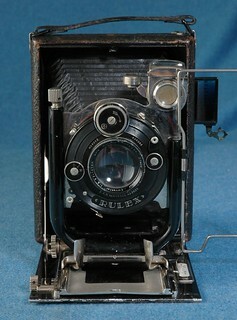 Pololyt f/6.8 lens and Rulex shutter. 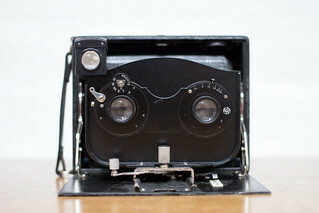 Folding press camera with focal plane shutter. 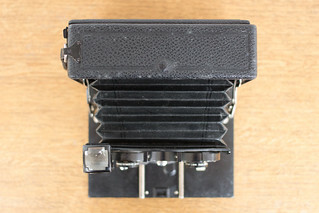 6.5×9, 9×12 or 10×15 cm. Dialytar lens (various maximum apertures). Laack was first and foremost an optical company making lenses for cameras, binocluars and microscopes. 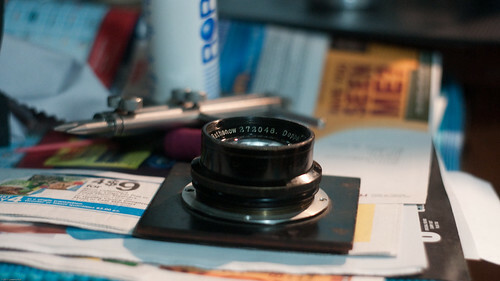 Laack produced a wide range of lenses for still photo and cine cameras as well as enlargers. An advertisement in 1934 claimed that over 500,000 lenses had been produced by Laack and Laack Söhne. Well-known names are Dialytar, Pololyt and Texon. A listing of Laack lenses is provided as a separate entry. 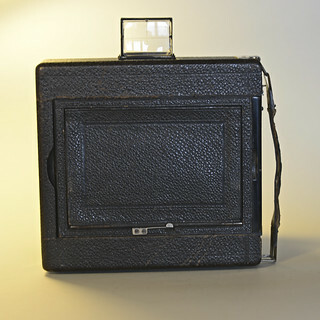 Laack 9×12 cm tropical camera with 13.5 cm Poloyt and Rulex shutter, in a past Breker auction listing (on the left of the picture). 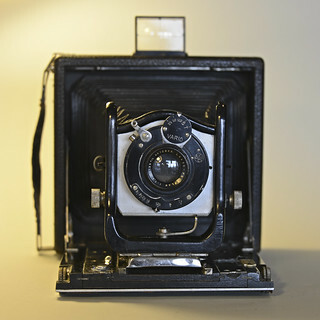 ↑ 2.0 2.1 Kingslake, R (1939) The Development of the Photographic Objective. in: Keith Henney, Handbook of photography. (London: Whittlesey House, pp.37-68, esp. p. 59. ↑ 3.0 3.1 The 50th anniversary of the company is mentioned for 1934: The British Journal Photographic Almanac and Photographer's Daily Companion 1934, p309. ↑ McKeown, James M. and Joan C. McKeown's Price Guide to Antique and Classic Cameras, 12th Edition, 2005-2006. USA, Centennial Photo Service, 2004. ISBN 0-931838-40-1 (hardcover). ISBN 0-931838-41-X (softcover). p592. ↑ German Patent DE559983, 'Vorrichtung zum Prüfen von Filmen' filed 28 April 1928 and granted 27 September 1932 to Julius Laack Söhne, Rathenow, at Espacenet, the patent search facility of the European Patent Office. ↑ This model isn't in McKeown: can anyone confirm it? ↑ body 152mm x 145 m; ebay October 2012. ↑ Greenleaf, Allen R. (1950) Photographic Optics. Macmillan, New York. pp82 & 201-8.